Marsh Hollow is a 34 acre private retreat, offering woods to explore, a shallow creek to splash through and open fields for games and camping. 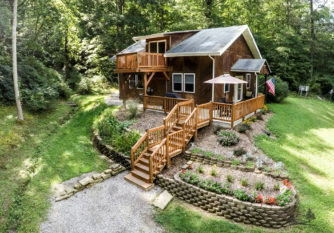 The property includes Pinewood Cabin, a unique vertical log cabin, Shadyside Cabin, a new (2013) Amish-built luxury cabin. and The Cottage. 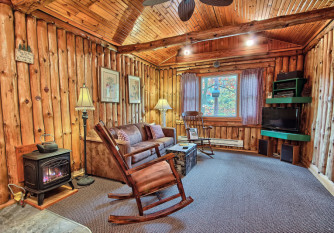 Our cabins and cottage are well separated from each other by distance and by trees, yet are close enough that extended families and friends can enjoy all three for family reunions. A few distinctions: only Shadyside has a dishwasher. Shadyside and Pinewood have Internet/Wifi and DirecTV. The Cottage has Internet/Wifi with easy access to movies and more via Netflix. 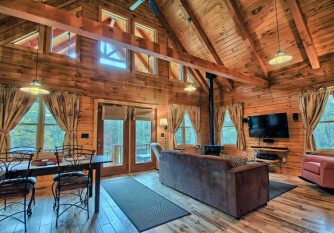 Click below for more information about each cabin and cottage.